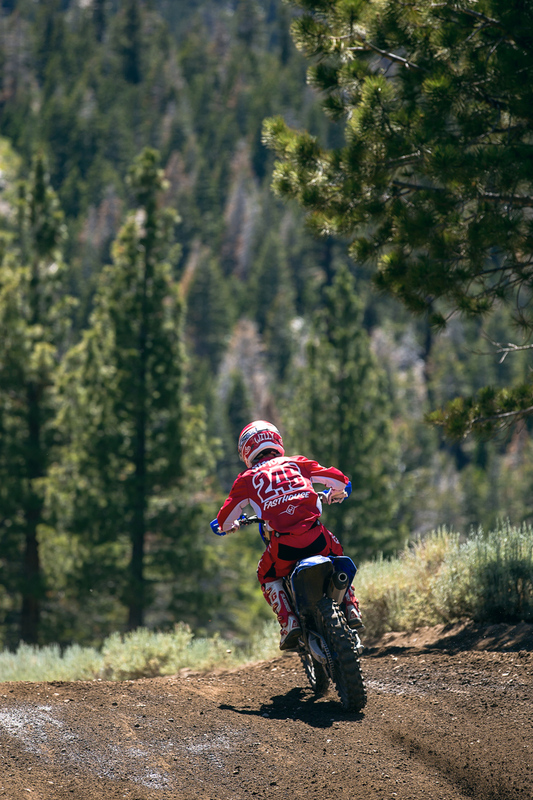 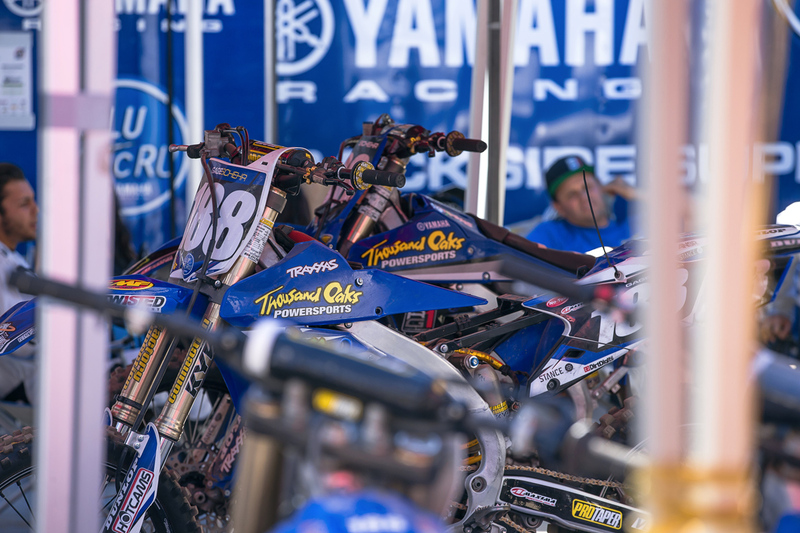 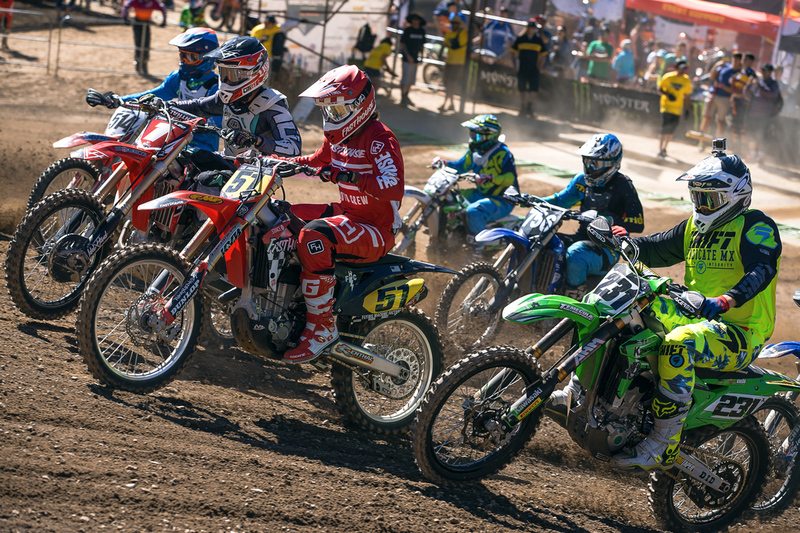 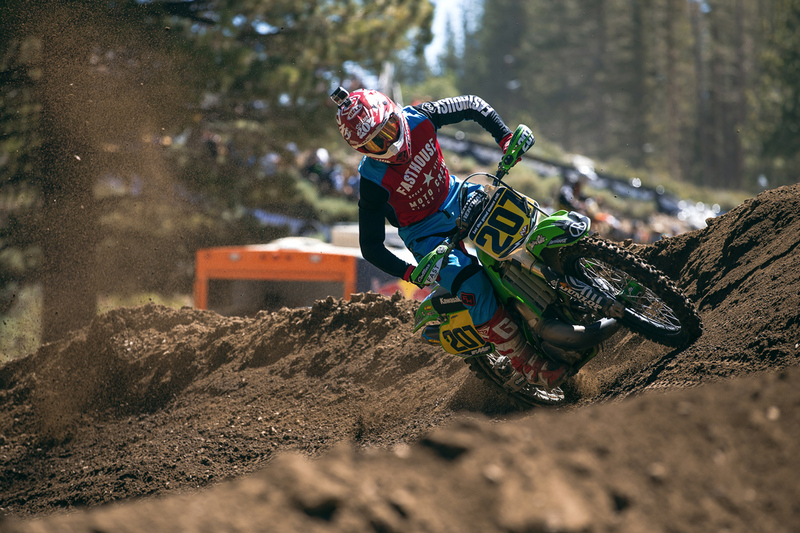 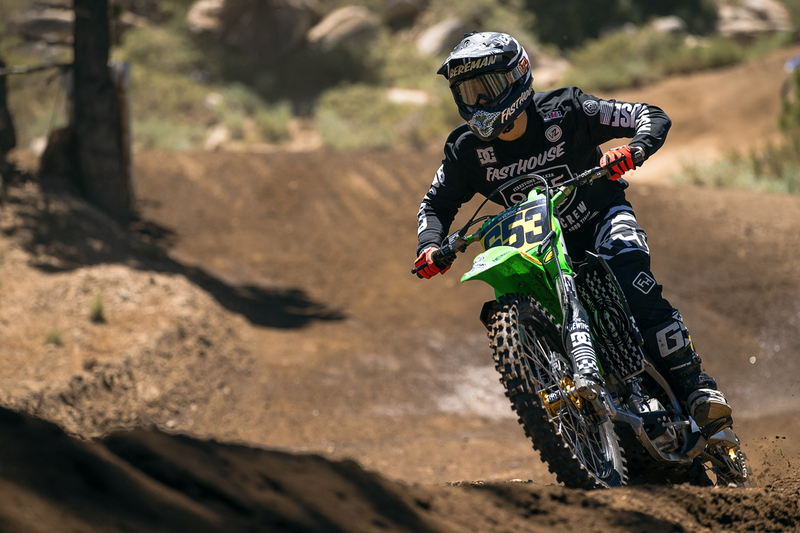 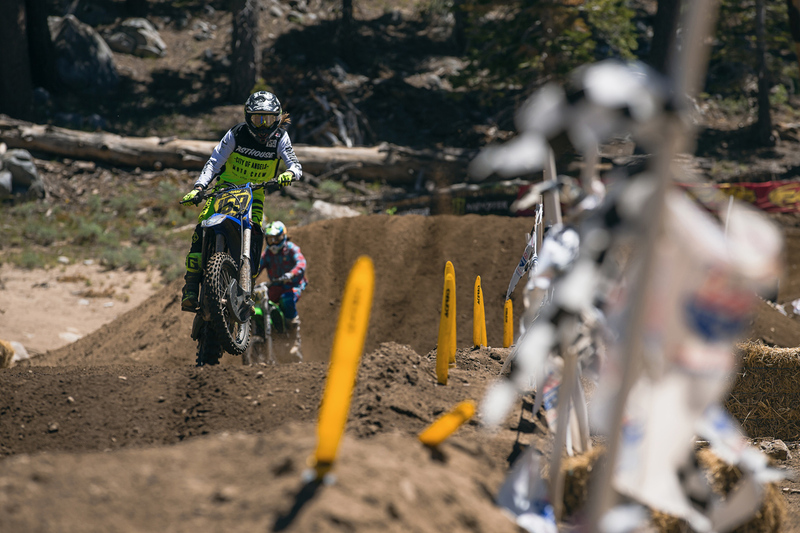 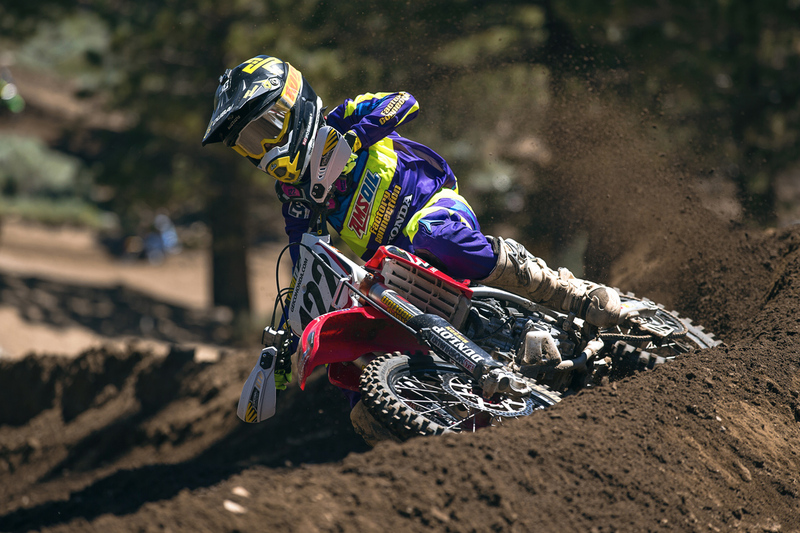 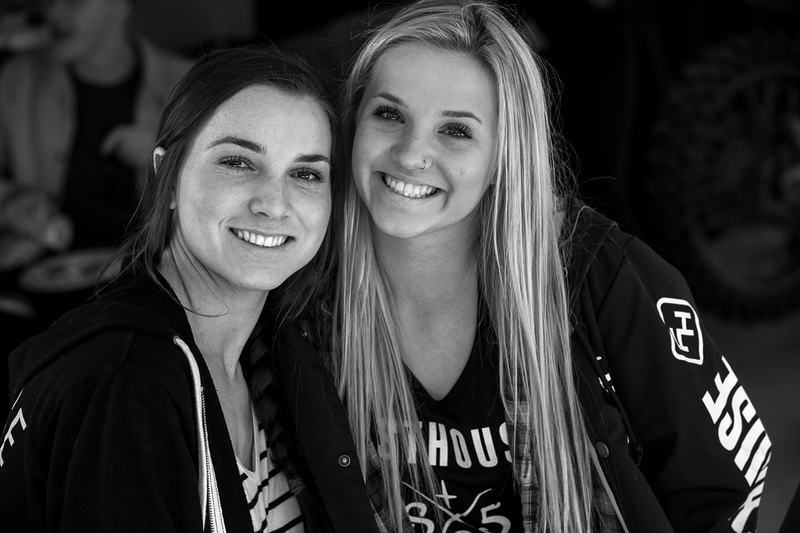 We'd be lying if we said that we weren't still slightly recovering from the 10 days we spent in Mammoth for the 2016 Mammoth Mountain Motocross, but it was all worth it. 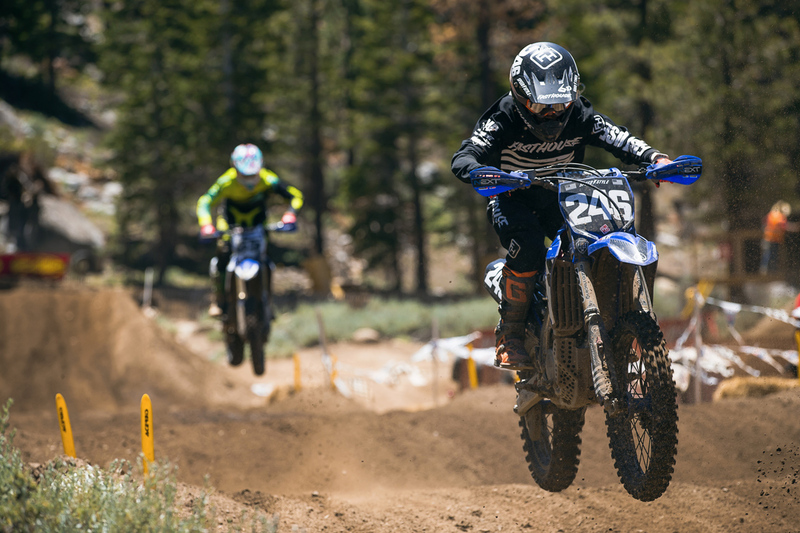 The annual pilgrimage brings racers and families together from all around the country for a week filled with not only racing on one of the most beautiful tracks this side of the Mississippi, but good times off the track and evening festivities for the young at heart as well. 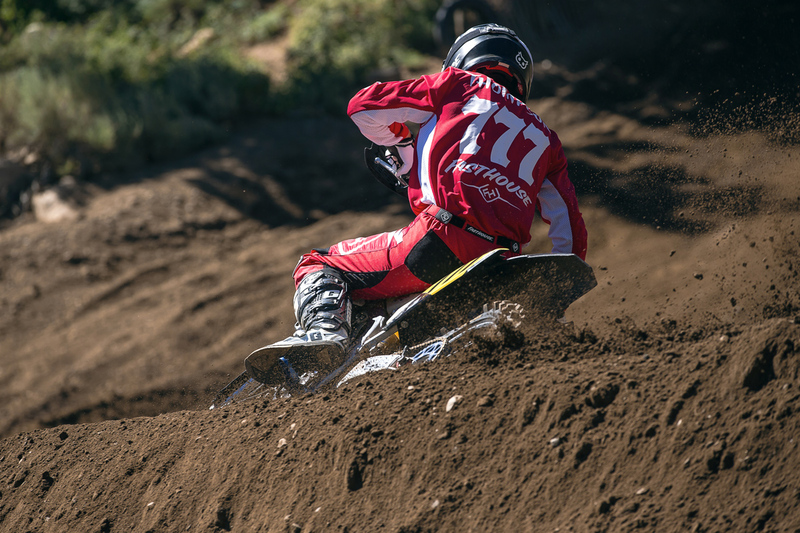 After the Vet weekend concluded, the mini racers took to the track before the main weekend of racing began from Friday through Sunday with 250s, 450s, and Open Class machines reverberating through the mountain tops. 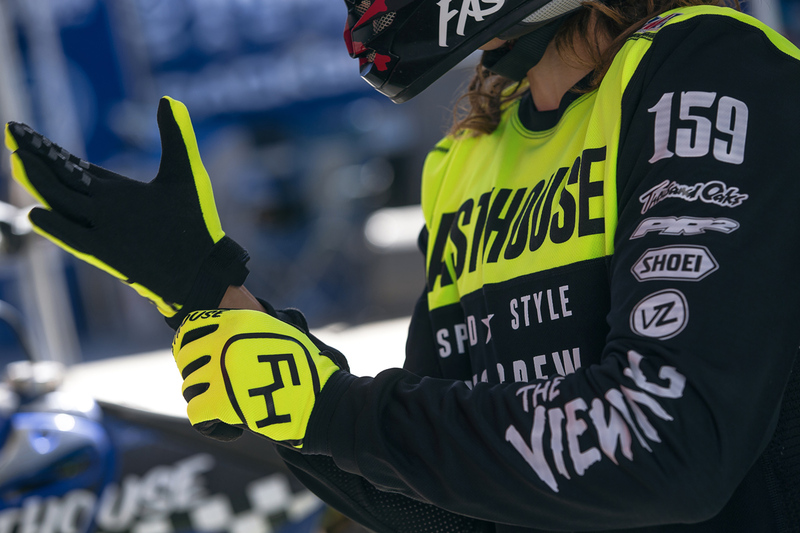 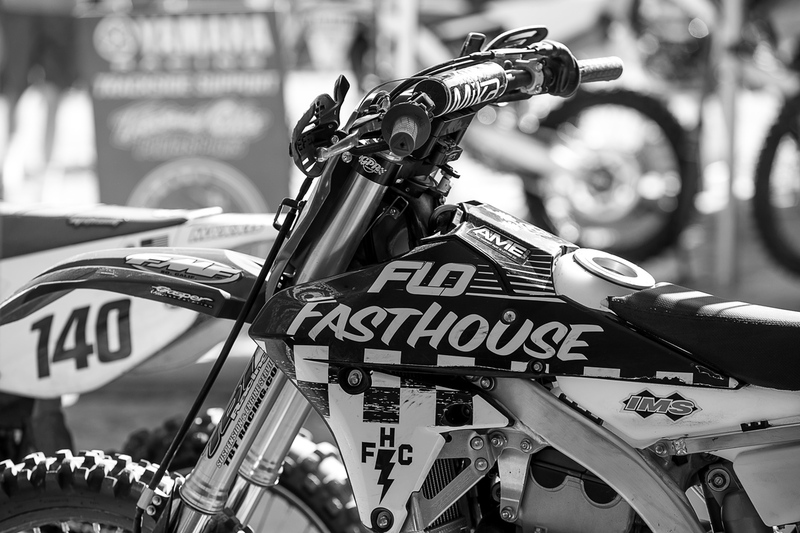 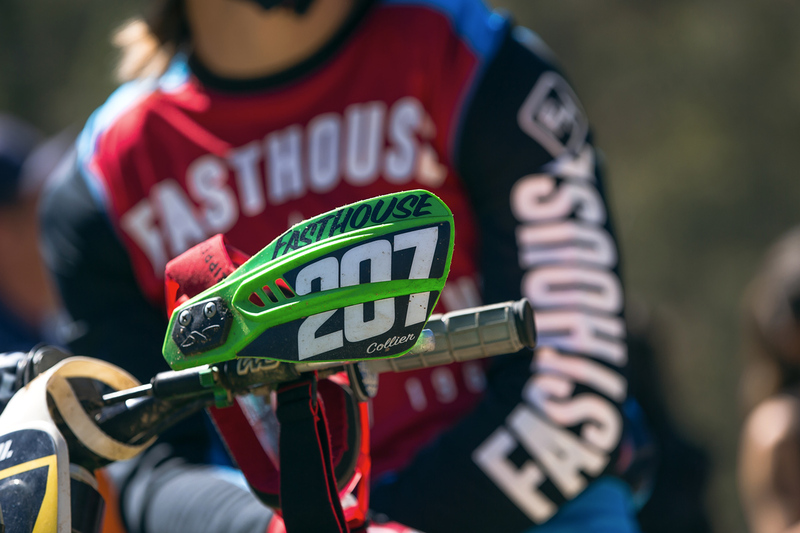 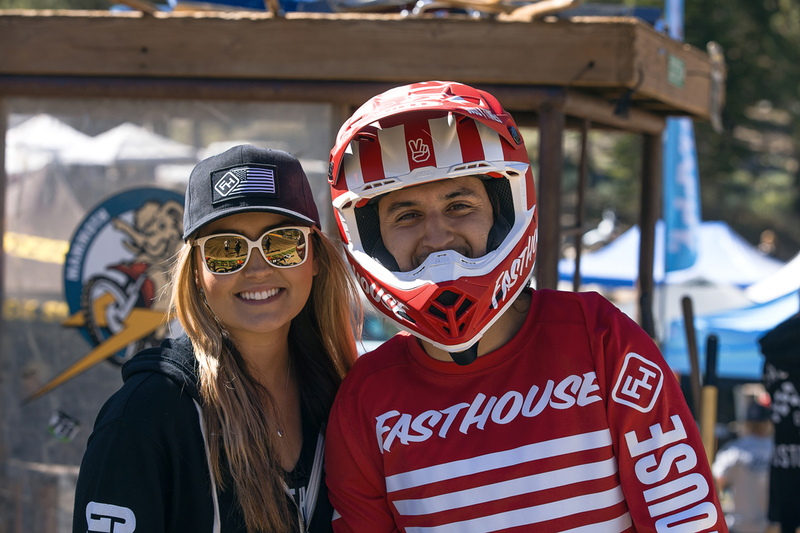 While there were some solid finishes turned in by Fasthouse riders—Ricky Diaz with a third in overall in 25-Plus, Darryn Durham with fourth in Open Pro, and Willy Simons Jr. with some very solid B Class performances—there was no doubt that we were having the most fun. 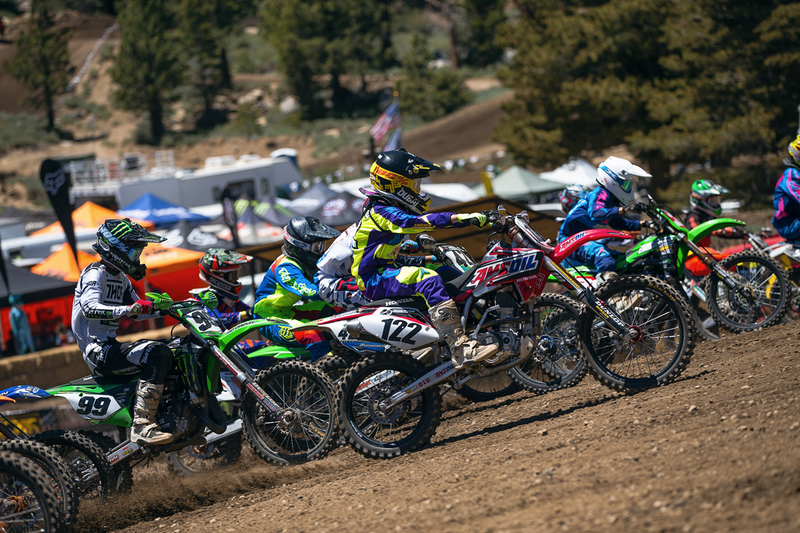 Sean Collier and Tyler Bereman even wrapped up the weekend with a good old fashion switch-a-roo aboard “The Beast” during the final 450 Pro moto—more on that later. 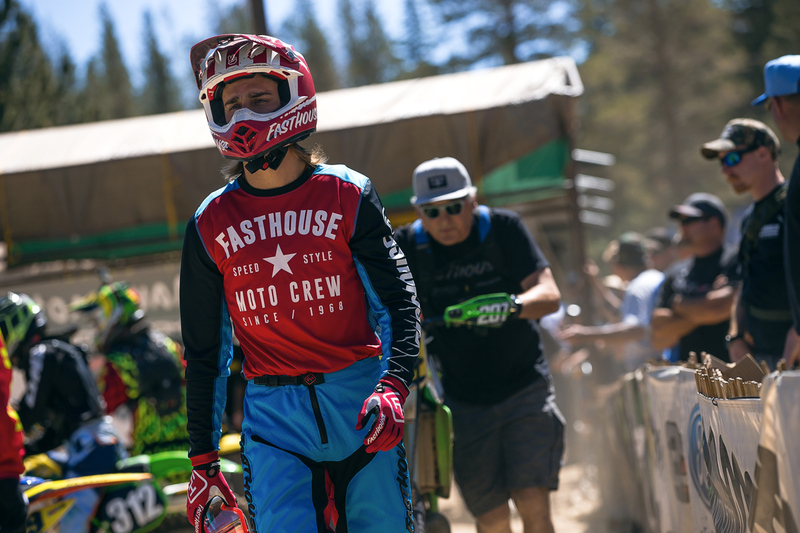 Check out this huge photo gallery, but be sure to come back later this week for a rad video edit, encompassing everything that went down. 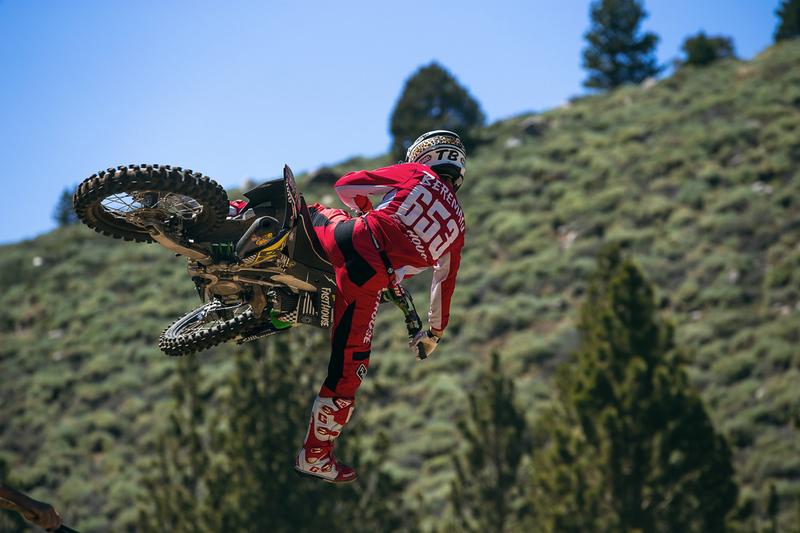 Tyler Bereman can throw a whip off anything. 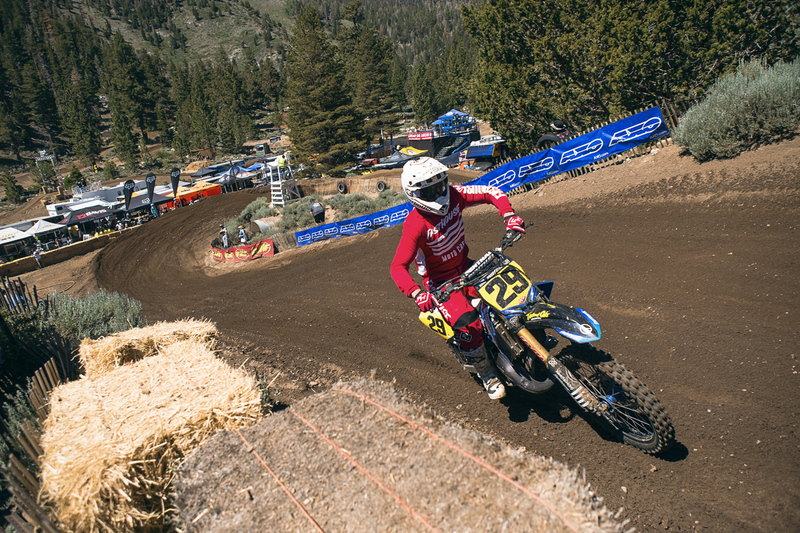 Ricky Diaz following his third overall in the 25-Plus Class. 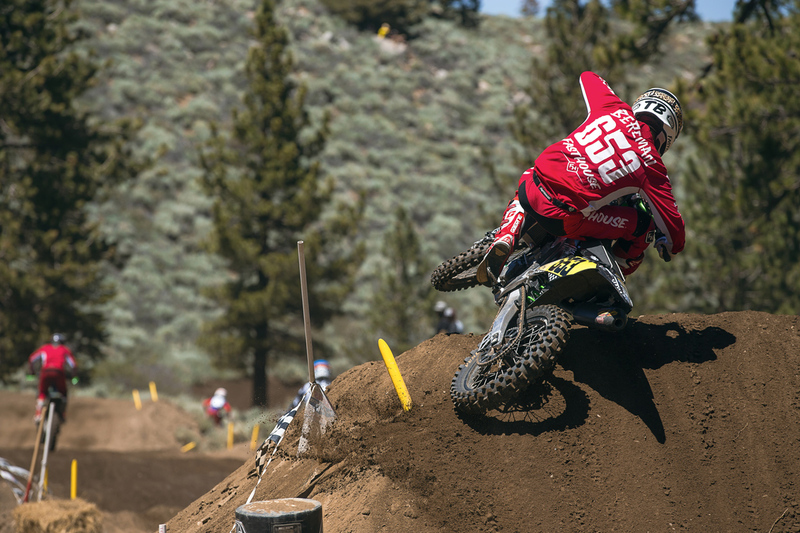 The new whoops in the back were challenging all week. 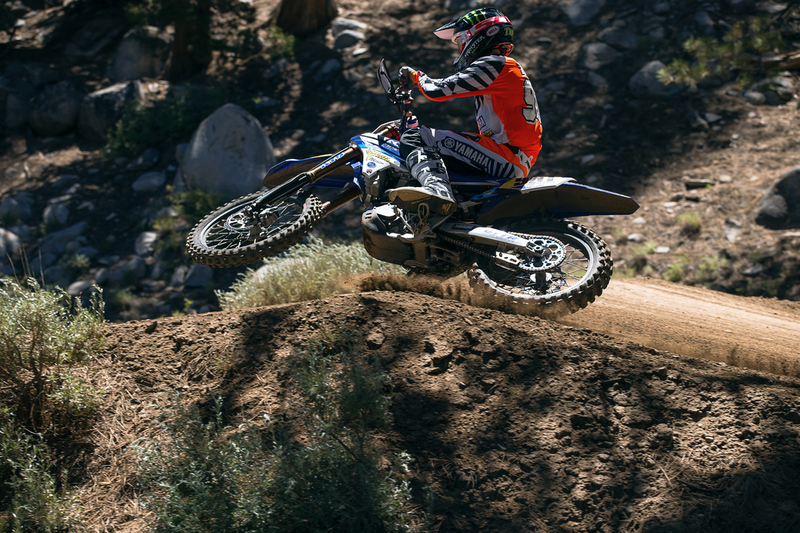 Darryn Durham demonstrates. 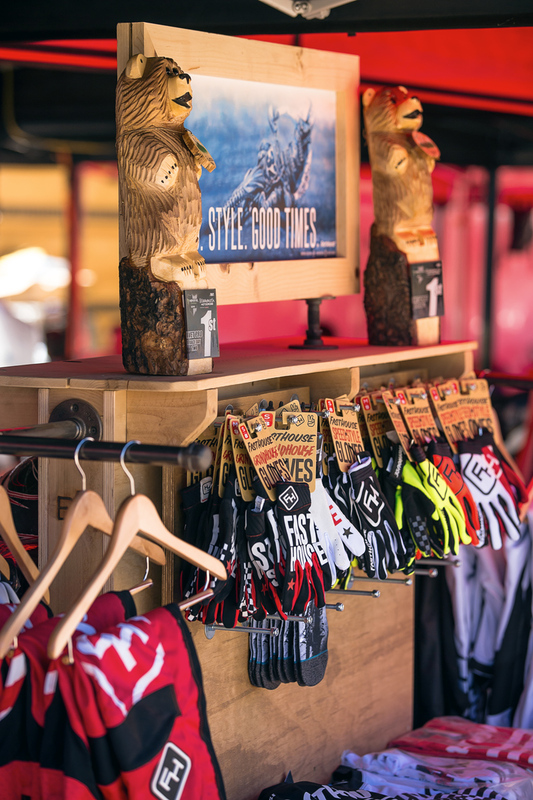 Gloves, jerseys, and pants are available in the store. 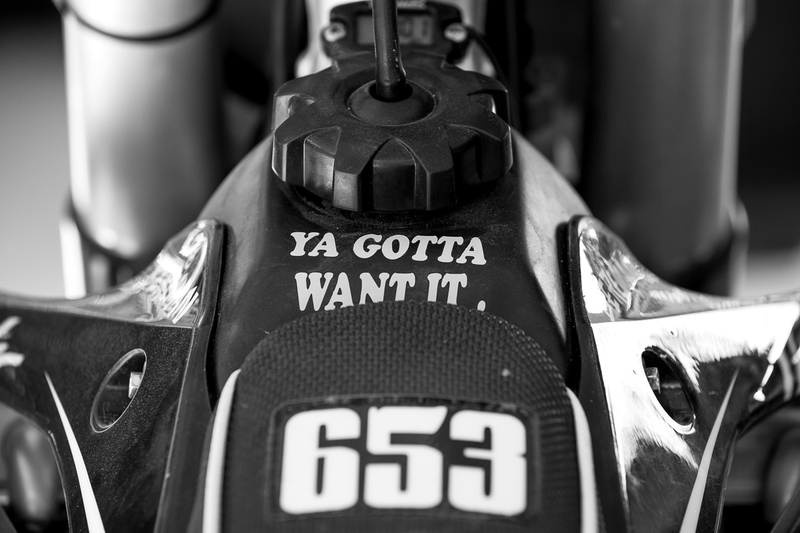 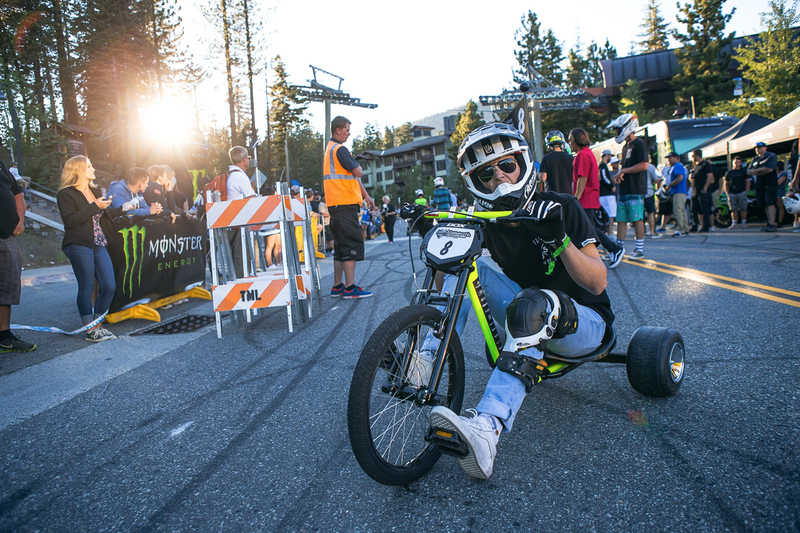 Ikua Hughes not only raced, but he also wrenched for young mini bike racer Ryder Difrancesco. 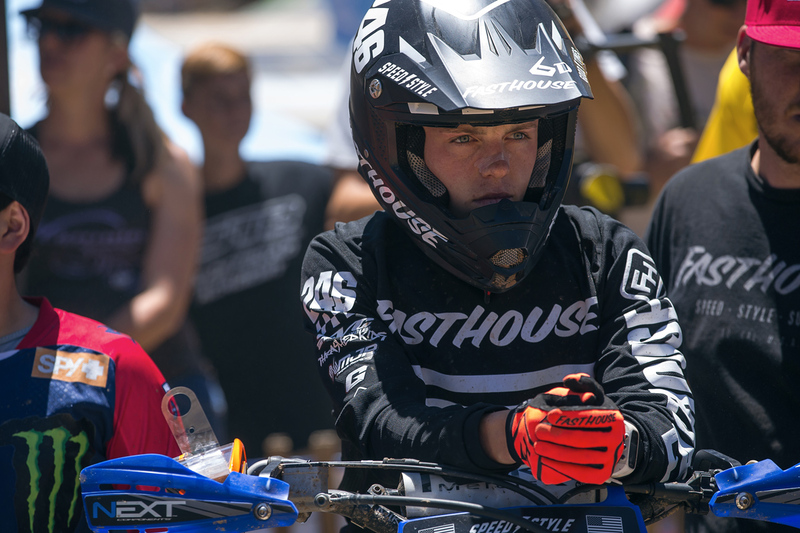 Carson Mumford was the stand out star during the mini bike days. 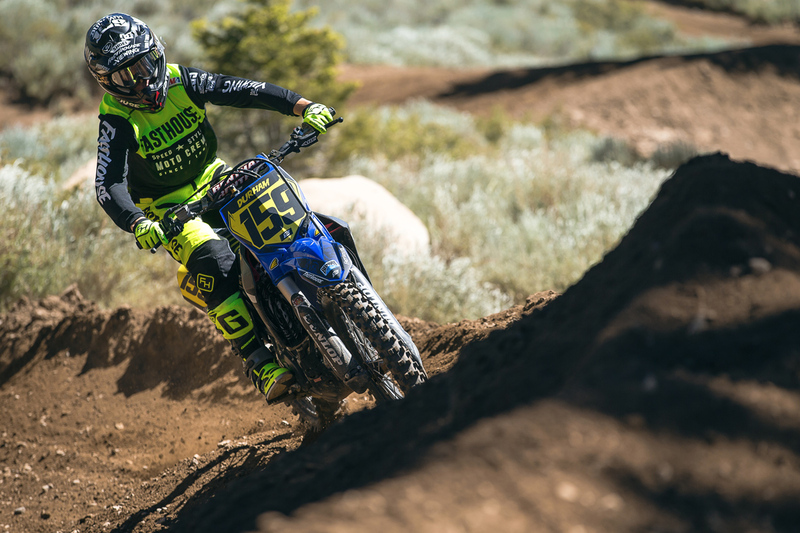 Darryn Durham turned in a solid fourth in Open Pro before the altitude got the best of him during the rest of the weekend. 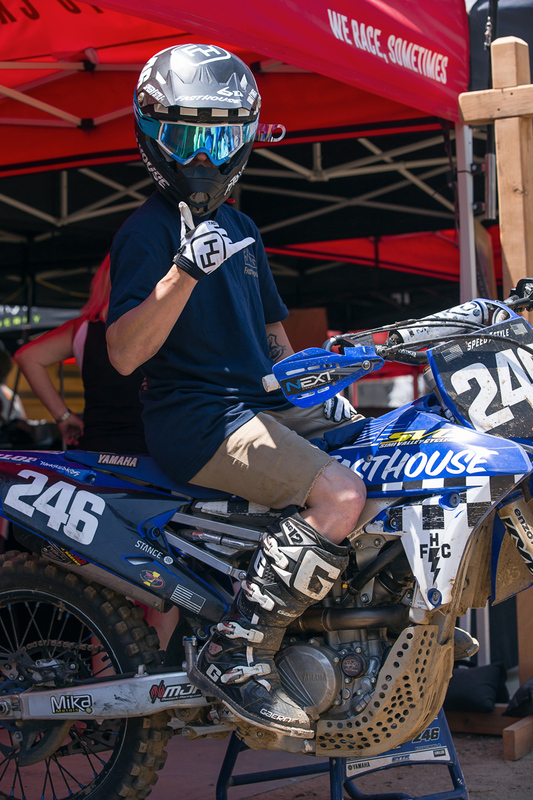 Matt Cerami aboard his Gasper Racing TM. 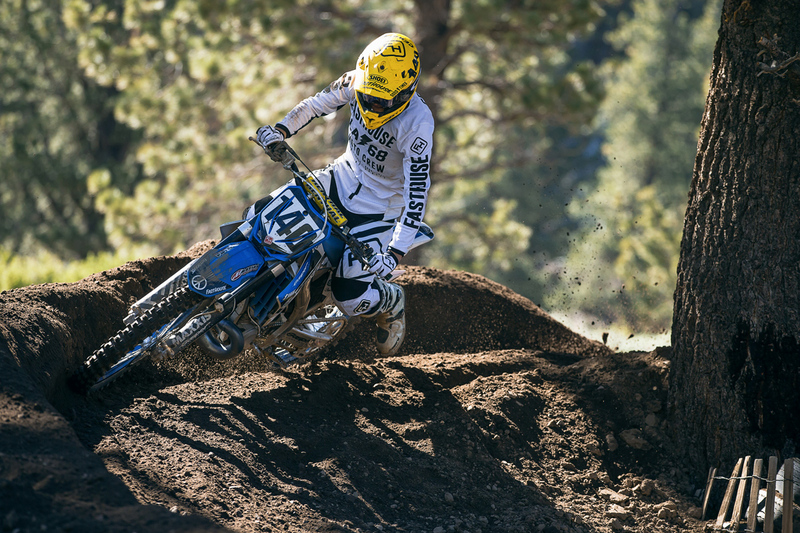 Wacker aboard the now infamous YZ125. 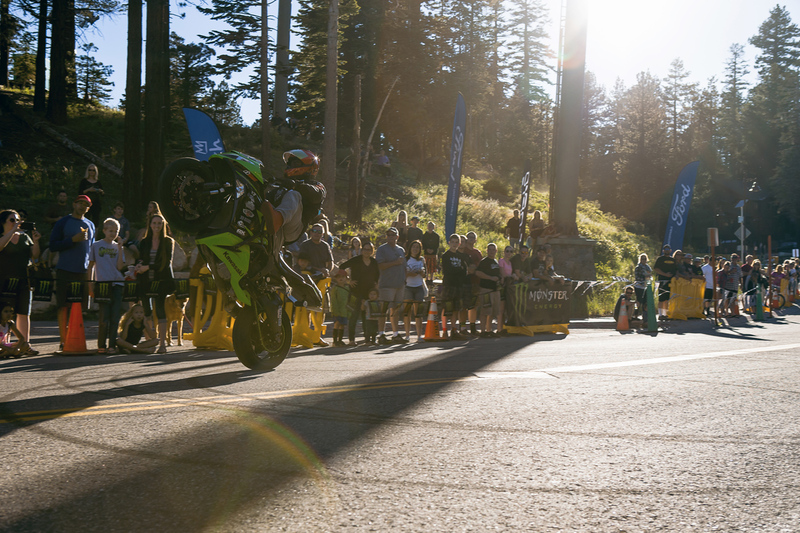 A motorcycle stunt show kicked things off in the Village on Saturday night. 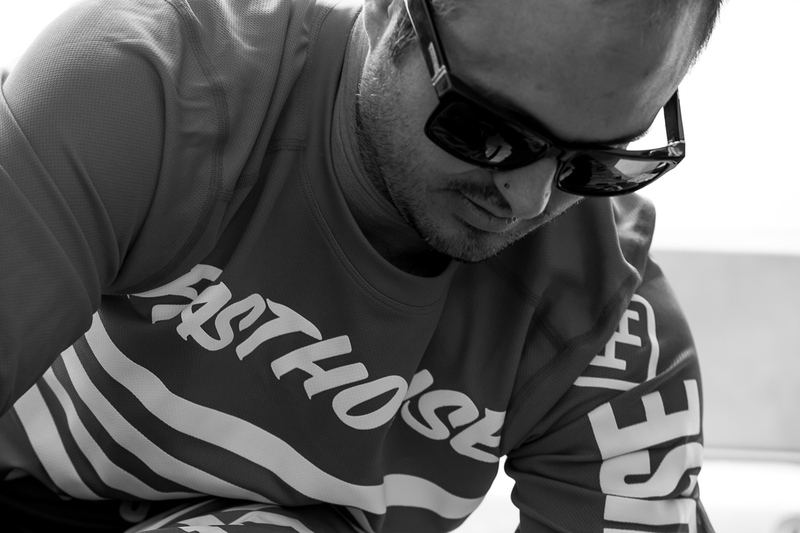 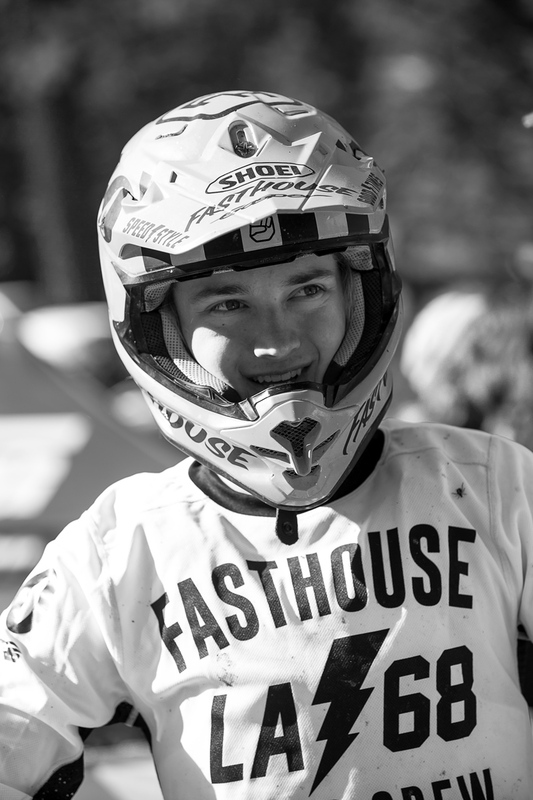 Trevor Stewart was part of the Fasthouse three wheeler team. 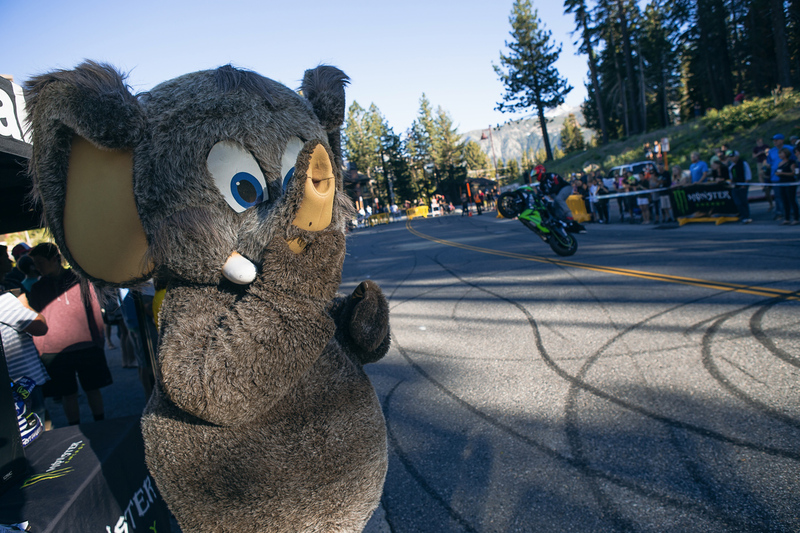 The race was super sketchy. 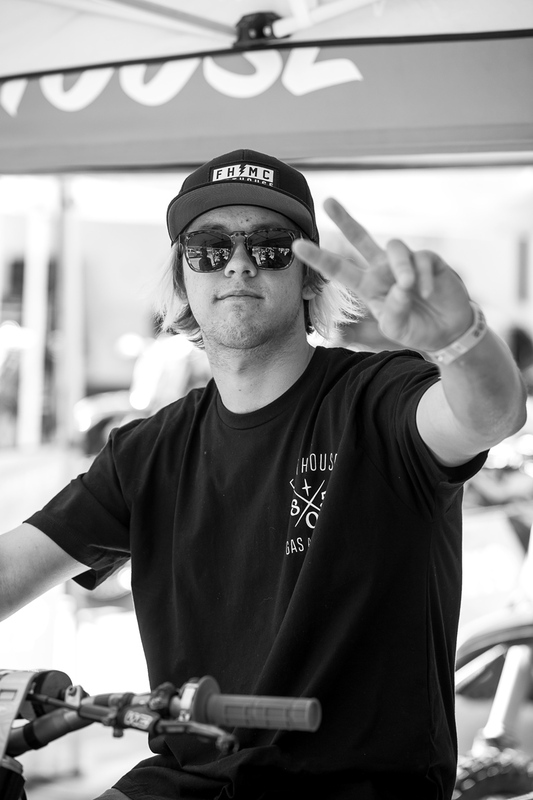 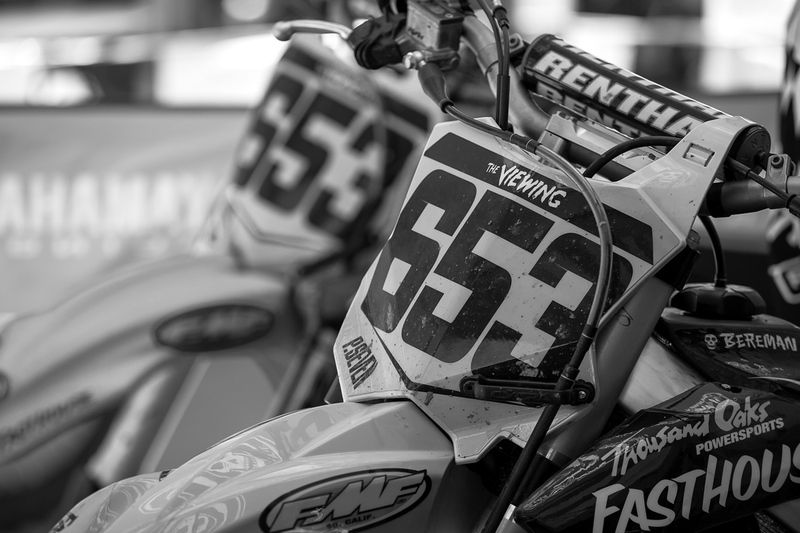 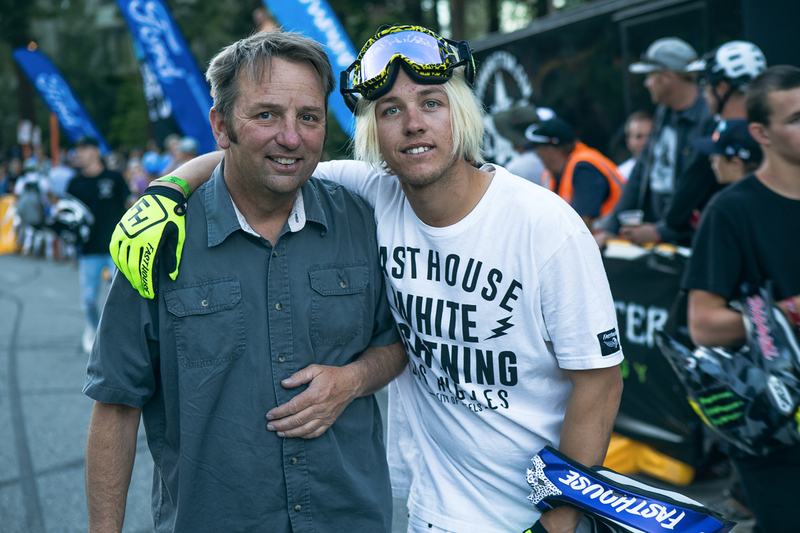 The man behind Mammoth Motocross Mike Colbert and Bereman. 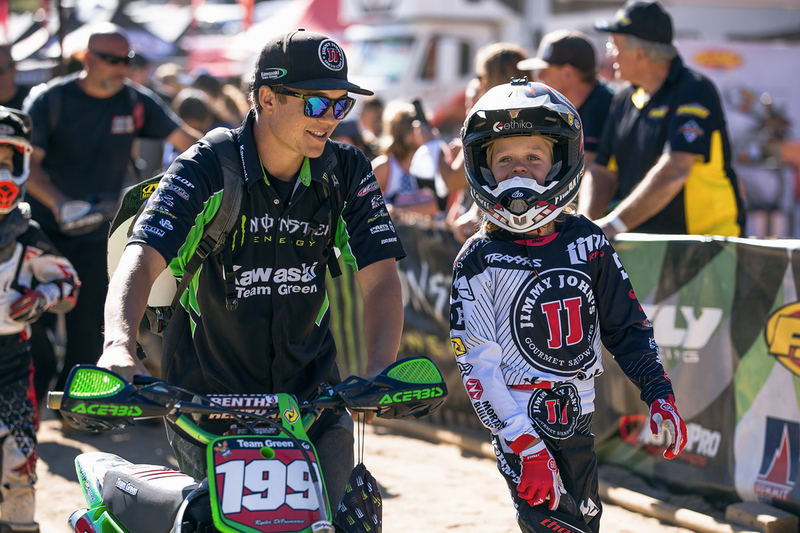 Lil' Will Simons headed out for the parade lap... in his shorts. 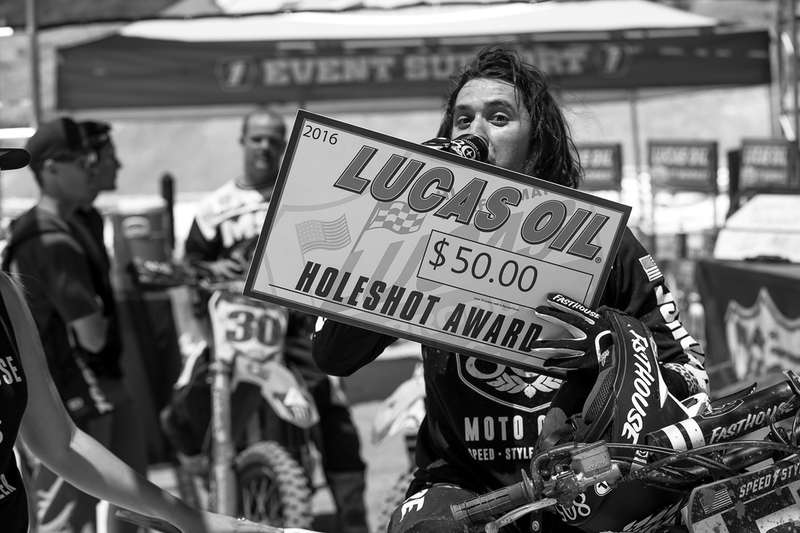 Sean Collier and "The Beast" pulled their share of holeshots over the week. 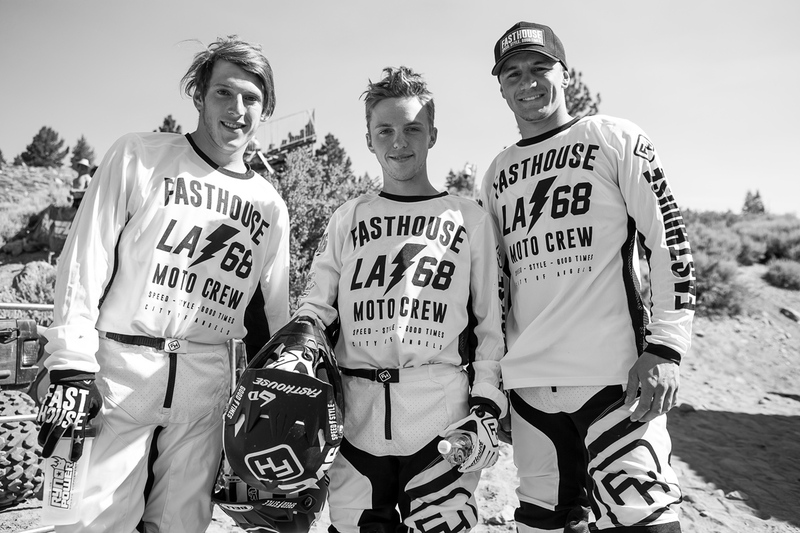 The boys were stylin' all week. 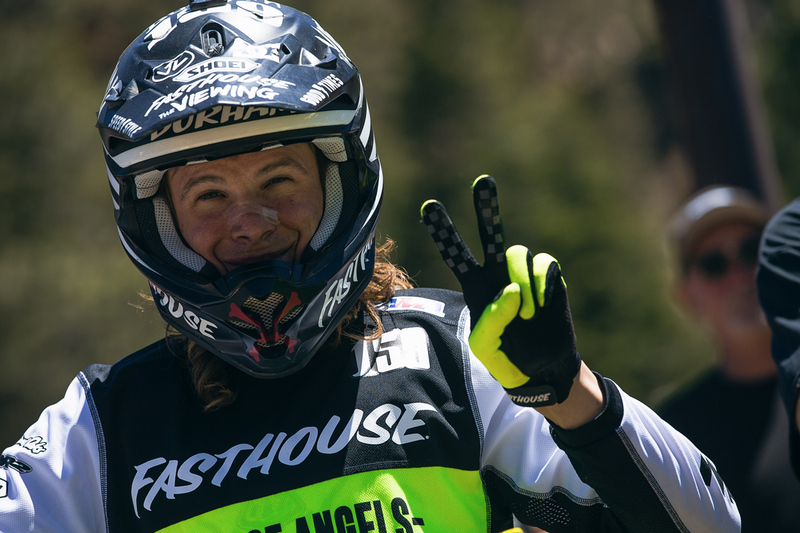 We love the program that Arik Swan runs. 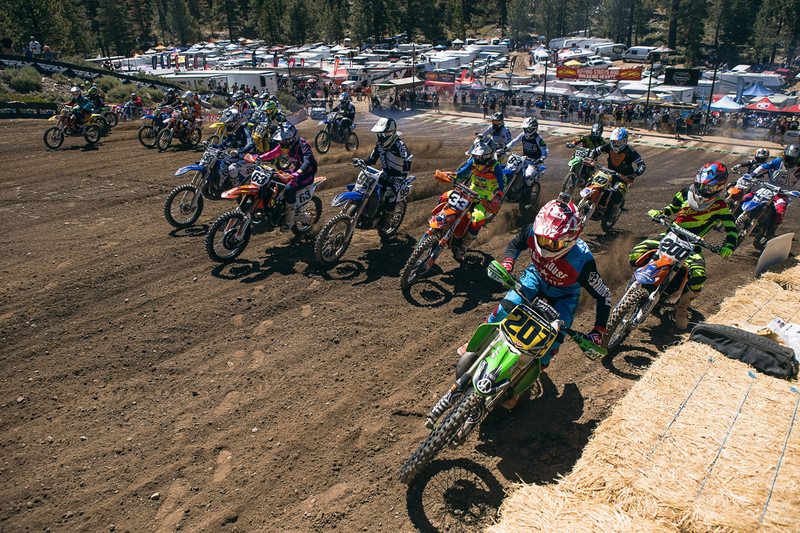 Ricky Diaz pulling the holeshot in 25-Plus. 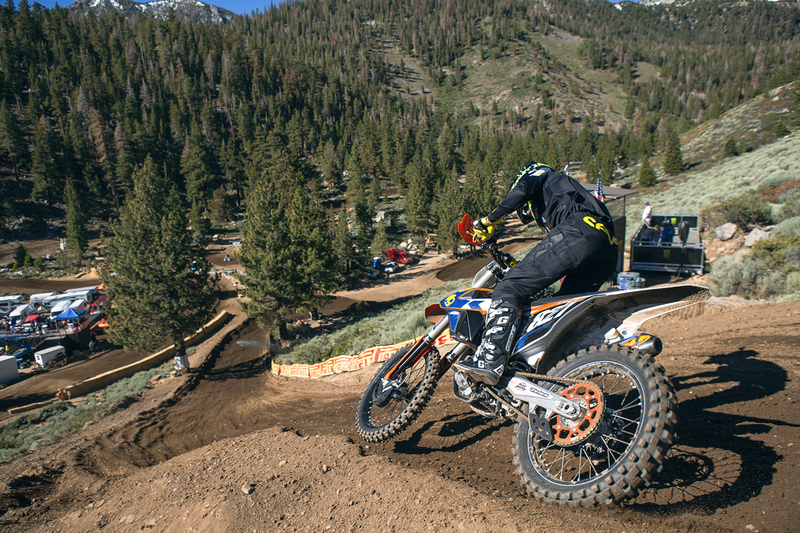 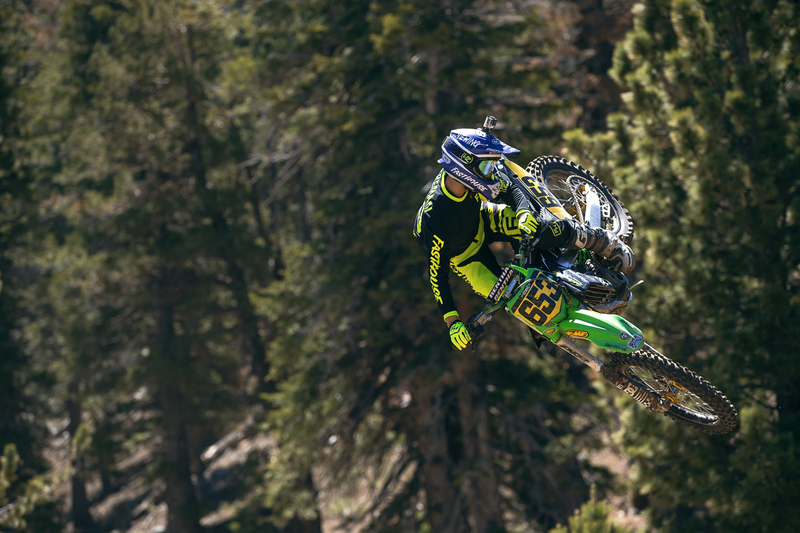 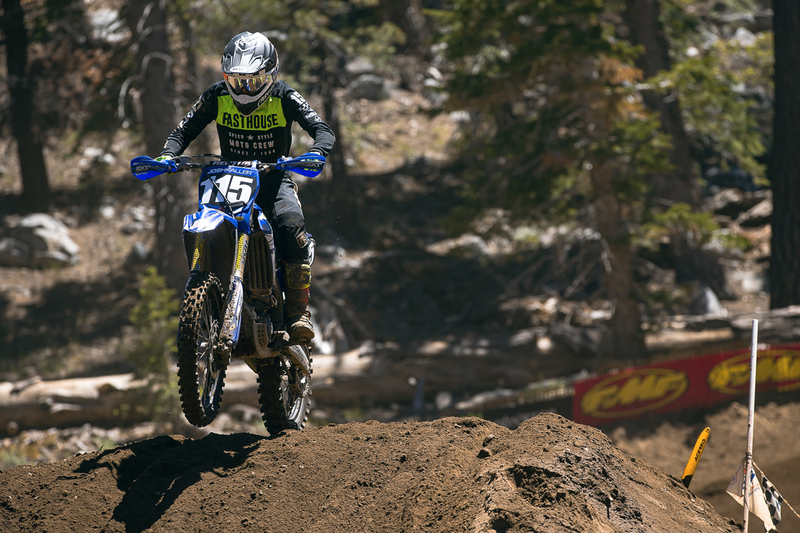 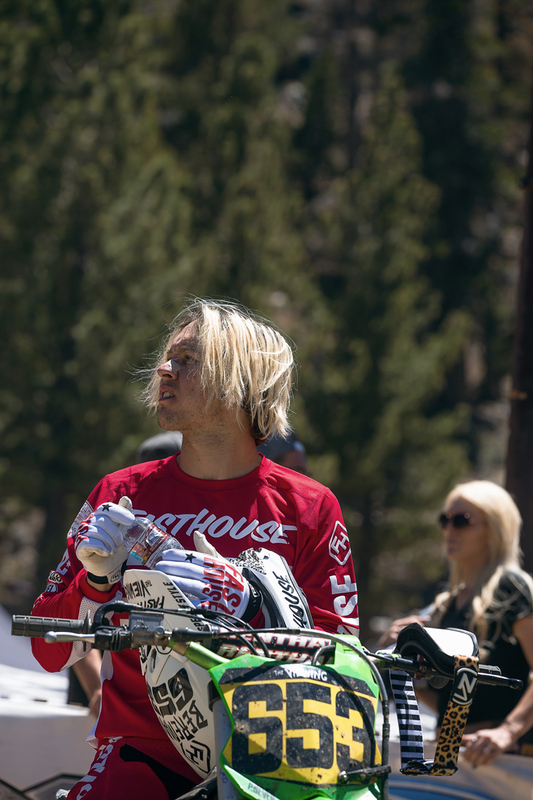 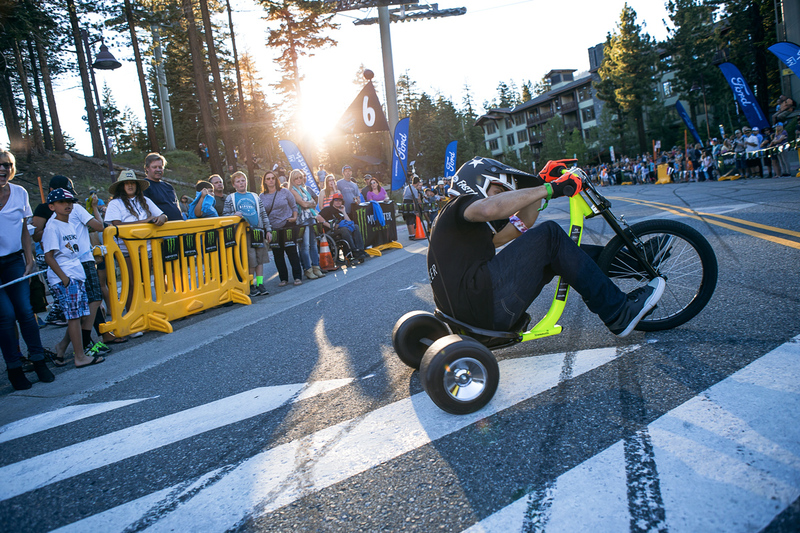 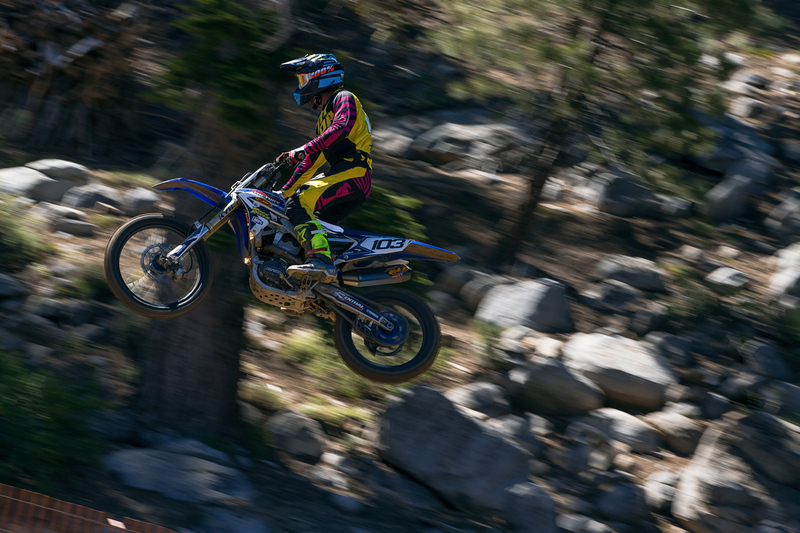 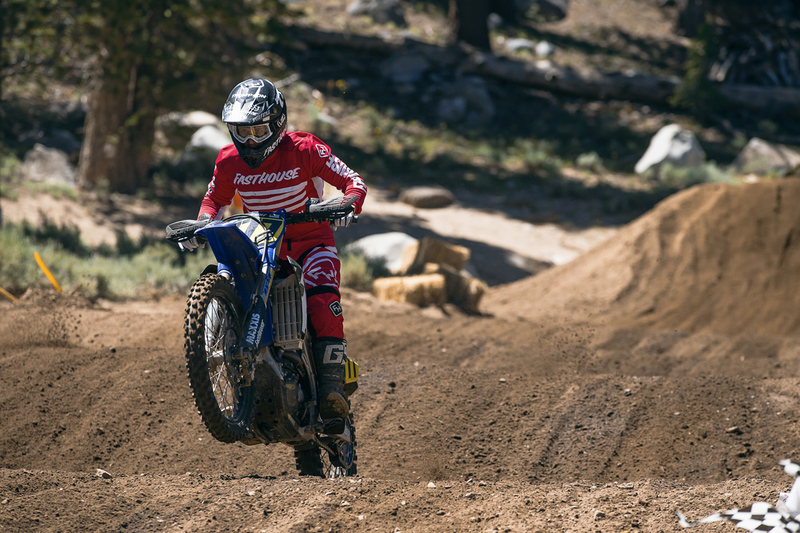 Off-road racer Blayne Thompson gave motoross a go in Mammoth. 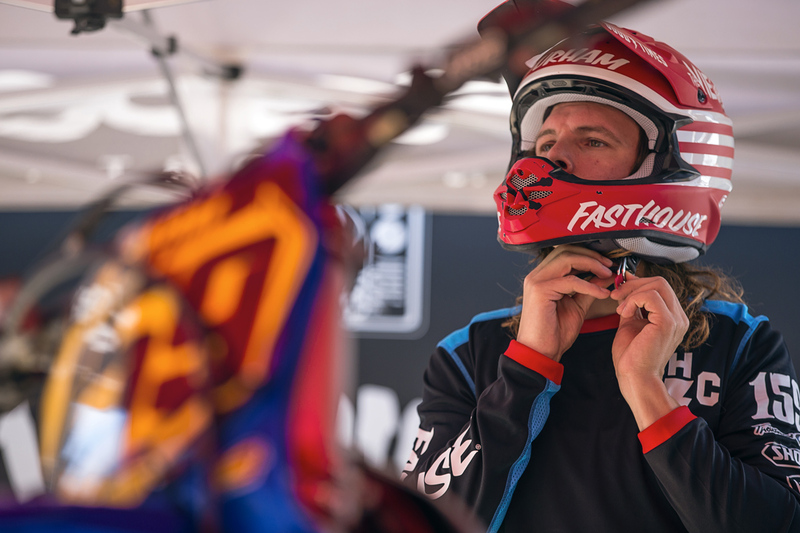 Bradley Taft was impressive and fast all week. 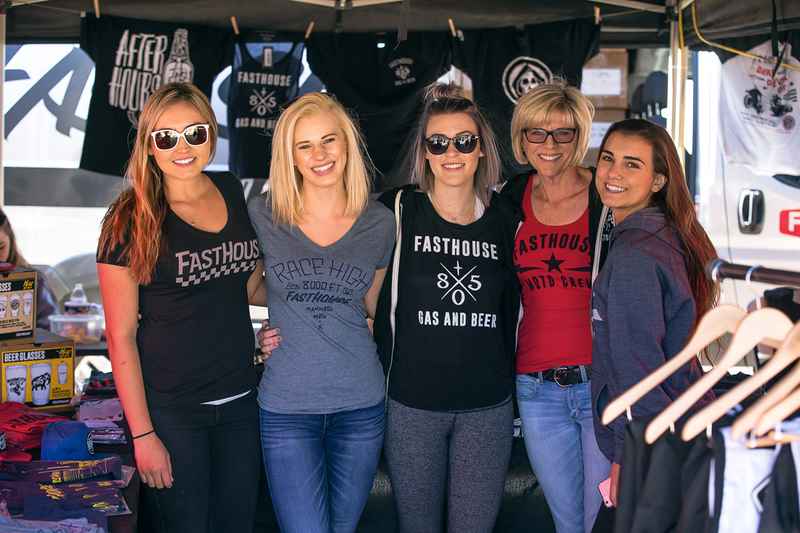 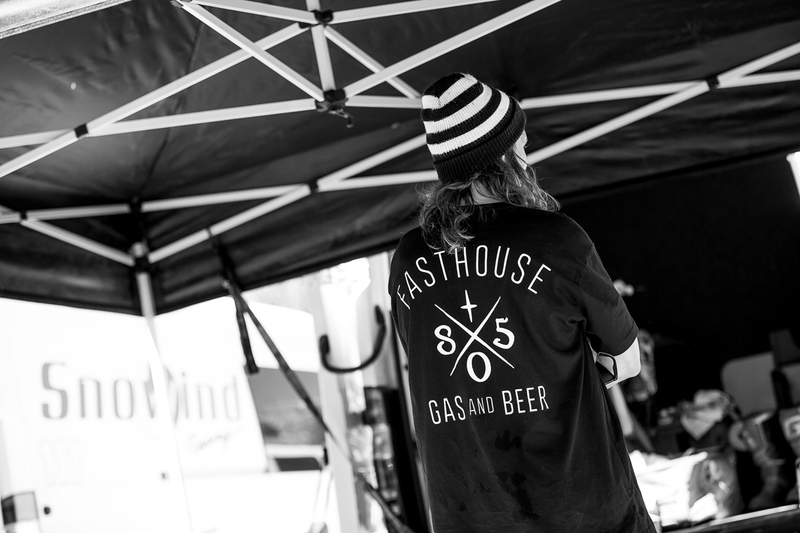 The Fasthouse booth was run by a solid crew. 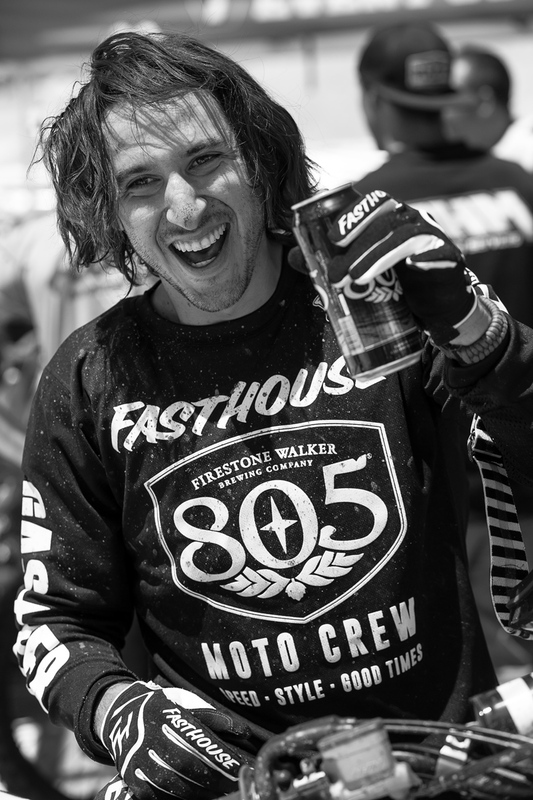 Bereman enjoying a cold 805 after his final moto. 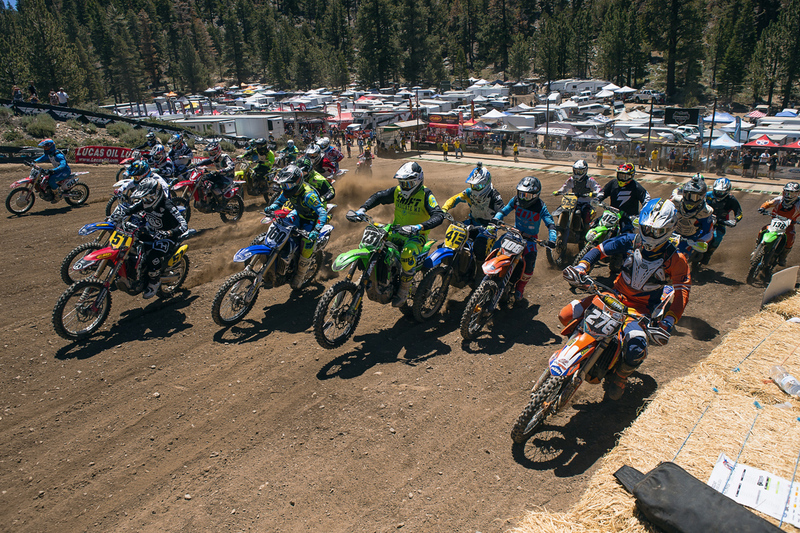 Thousand Oaks had a lot of riders to support in Mammoth. 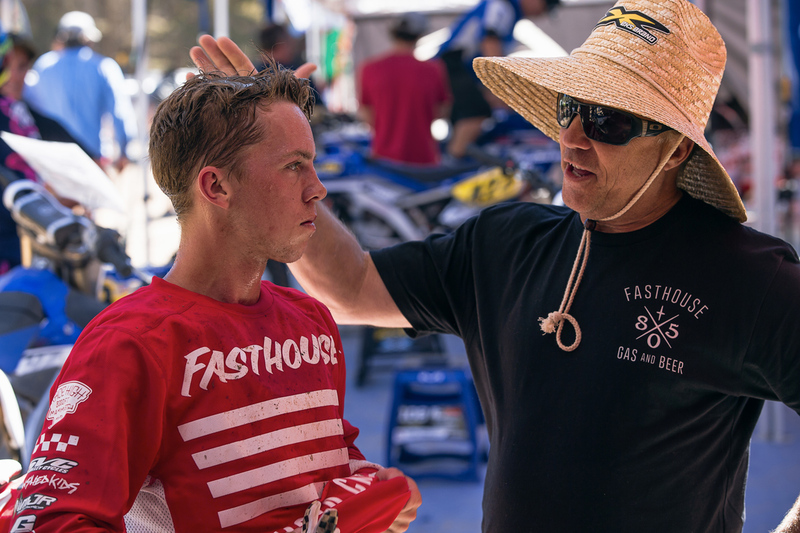 Willy Simons gives Lil' Will some pointers after one of his many motos. 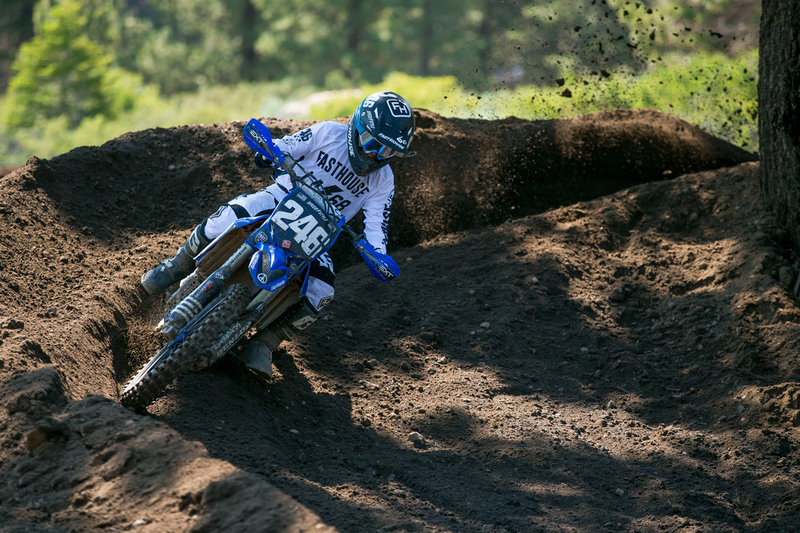 Tyler Bereman having fun mid moto. 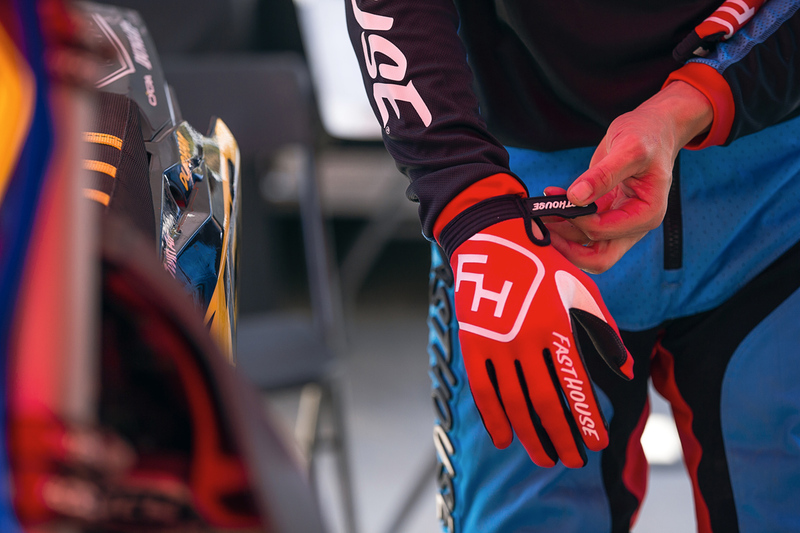 Old school badass Mike Healey flying the FH colors. 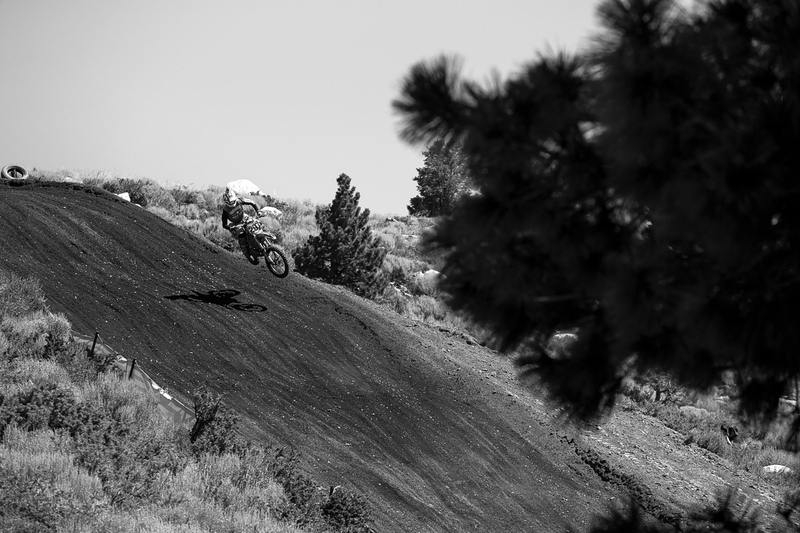 Collier demonstrates true commitment, jumping down the Mammoth downhill. 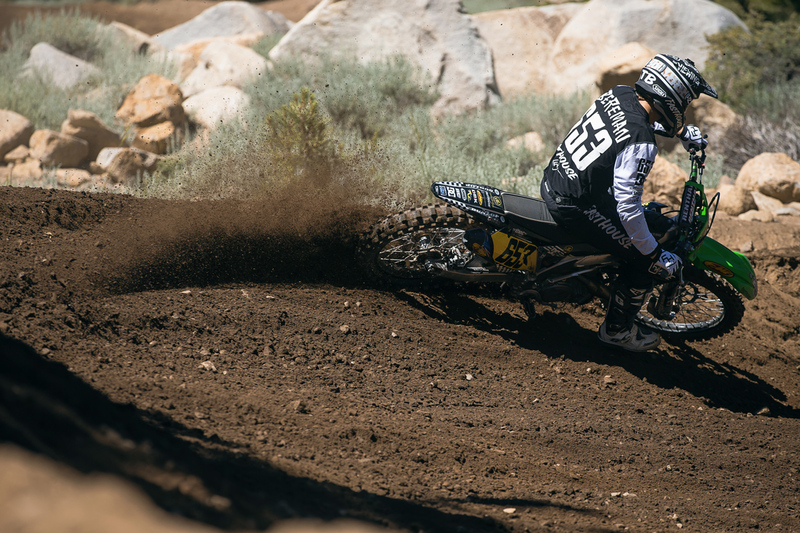 Former World Motocross Champion Sebastien Tortelli can still haul. 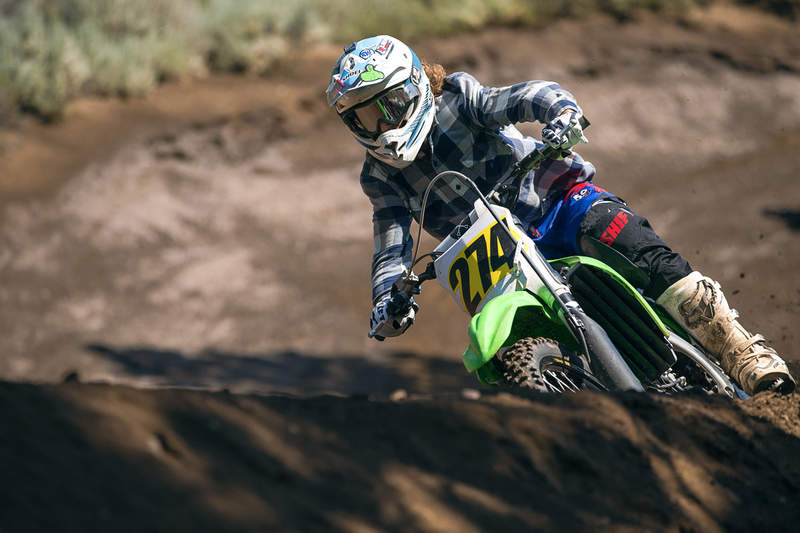 He won the 25-Plus Class. 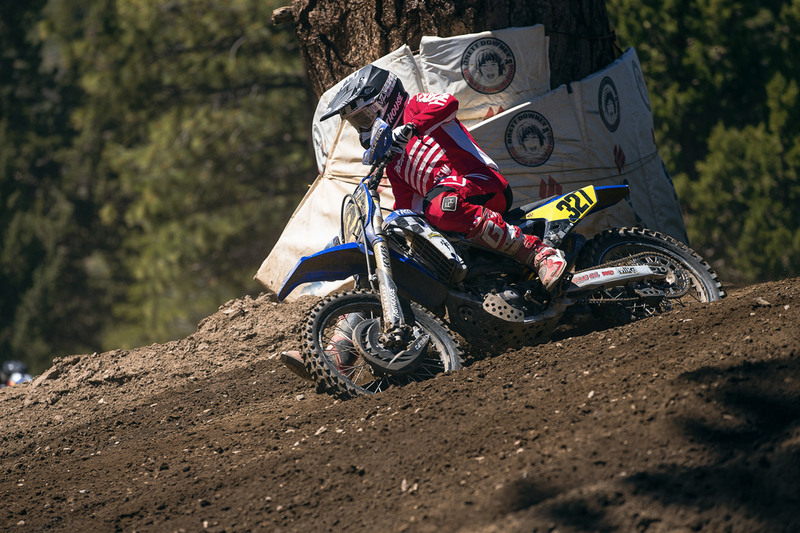 Max Markolf was hauling in the B Classes. 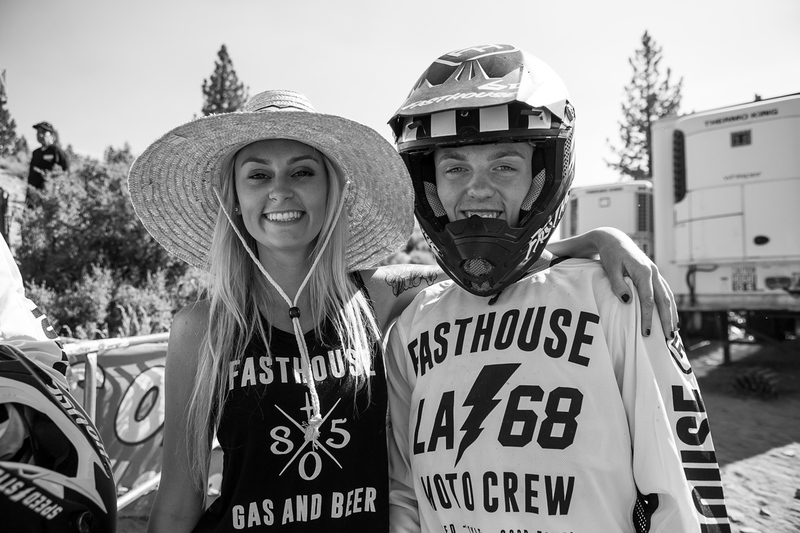 Lil' Will Simons and Katii Remele. 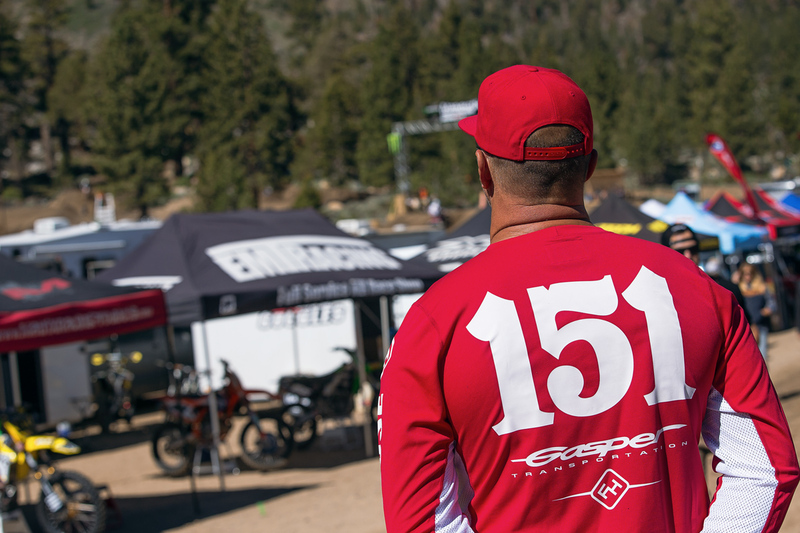 Manny Gasper surveying the pit area.